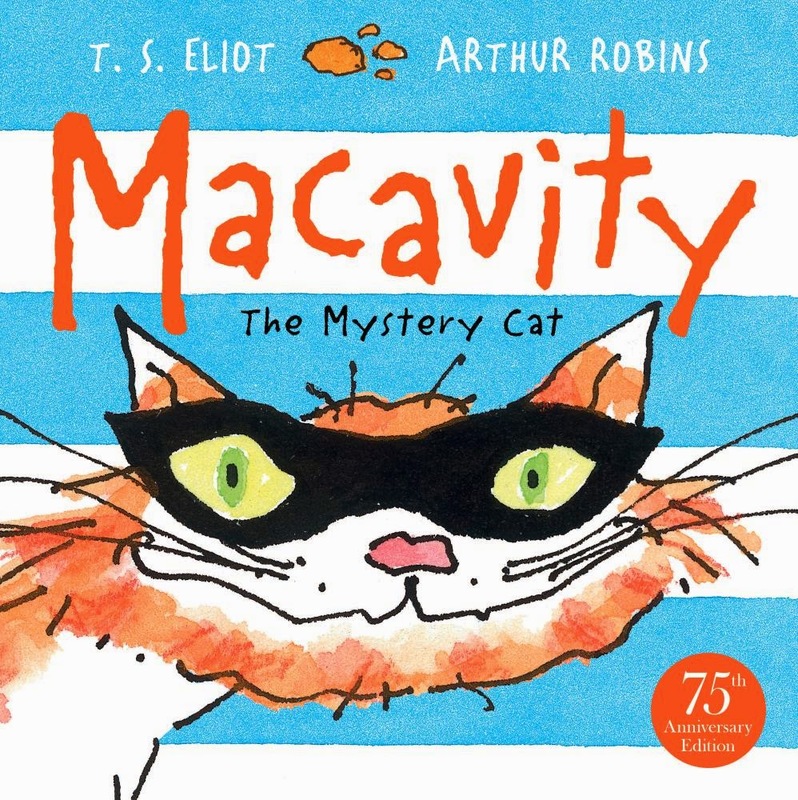 I've had a long history with Macavity, that notorious mystery cat. First published in 1939 as part of T.S. Eliot's Old Possum's Book of Practical Cats, it's a poem that I studied at school and then saw transferred to the stage as part of the musical Cats. I only need to hear the words, 'Macavity, Macavity, there's no one like Macavity' to start reciting the rest of the verses! So, you can imagine my excitement when I saw that Faber & Faber had released an illustrated edition to commemorate 75 years since the poem's publication. And it doesn't disappoint. Arthur Robins' madcap illustrations perfectly capture the cunning brilliance of the world's most mischievous cat. Right from the opening image, where Macavity is silhouetted on the rooftops clutching his fishy loot, all the way to the final page, where the Napoleon of Crime surveys his treasures, every nuance of the poem is brought hilariously to life. The result is a book that is entirely suitable for introducing a younger age group to this classic tale, and that will hopefully spark a lifelong love of T.S. Eliot's work in the process.